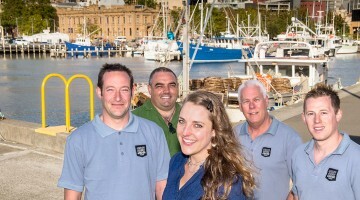 Under Down Under specialises in small group tours throughout Tasmania. With the largest range of tours in our market; we provide visitors with a hassle free, and eco friendly way to experience the state on a budget. Our tours range from 2 ½ hours through to 8 days; and have a focus on sharing adventures through Tasmania’s Wilderness with like minded travellers. With a diverse product range we offer everything from downhill bike adventures to extended state-wide tours; all aimed at showing our customers what makes Tasmania such a great place! Under Down Under’s Guides are passionate about their island home and will enhance your trip with their knowledge and understanding of Tasmania. They all have their own personalities and stories to tell and strive to deliver a great experience for every guest. Under Down Under’s relaxed and laid-back pace allows you to spend more time out of the bus than in. Our small comfortable minibuses keep our tour groups small so you will never feel crowded or lost. environment orientated and you will experience the wilderness, the wildlife, the history, the culture and the colourful people on any tour. At Under Down Under, we care about what matters most – YOU and Tasmania. You’ll be accompanied on each tour by people from all around the world. Whether you’re travelling alone or with a partner, our small groups contribute to your experience. When you travel with us you can relax in the knowledge that we have worked hard to reduce the impact your trip makes. We operate a fleet of modern, economical, turbo diesel vehicles that produce low amounts of emissions, especially on a per person basis. We use environmentally friendly bus wash and cleaning products. Where possible we use locally owned accommodation and eat in local establishments that source their food close to home. This helps reduce our direct environmental impact while giving you a memorable travel experience. 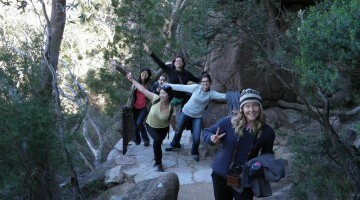 Under Down Under’s small group tours apply minimal impact, leave no trace principles. 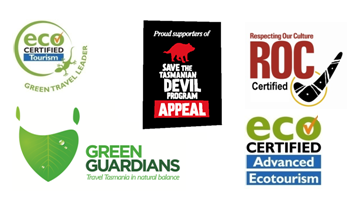 We support Save the Tasmanian Devil Appeal and Green Guardians, We are accredited operators with Parks and Wildlife Tasmania and Accredited Tourism Business Australia, we hold Eco Certified Tourism Green travel Leader and Advanced Ecotourism Accreditation Certification. We are also ROC (Respecting Our Culture) Certified. Under Down Under Tours is proud to be a member of the Green Guardians Program. This is a unique partnership between the Parks and Wildlife Service of Tasmania and environmentally conscious local tourism operators. The program enables visitors to this beautiful state to become directly involved in efforts to help preserve and protect our environment. Through Green Guardians, guests are able to directly impact the battle to preserve our native species and environment. They are invited to assist in the collection of valuable data on the distribution and population of several critically endangered shore birds along the Tasmanian coastline and participate in marine debris identification and collection. Find out more information about the Green Guardian program. Travelling by bus with us is one of the most environmentally friendly ways to experience Tasmania. For the carbon emissions we can’t avoid, you can now reduce your tour carbon footprint to zero by purchasing carbon offsets, for 60 cents per day of travel. To offset the carbon emissions released on your tour, please ask your tour guide. As an environmental not-for-profit organisation, their mission is to protect our climate by restoring our forests. They plant Australian native forests to offset carbon emissions on behalf of thousands of individuals, businesses, NGOs, councils and universities. Since 1997, Greenfleet has planted over 8.5 million native trees in more than 400 biodiverse forests around Australia. 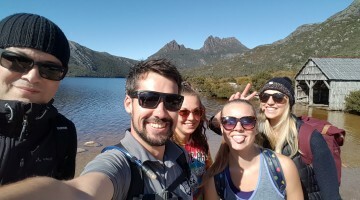 As a Tour Guide for Under Down Under Tours you will become the most important part of our business, and will be responsible for creating outstanding travelling experiences for our passengers that will stay with them forever. "If I was obliged to emigrate I certainly should prefer this place: the climate and aspect of the country almost alone would determine me… All on board like this place better than Sydney"